So this was how our final product came to be like! This is a close up shot of the nails I did! I chose to do a brown base using OPI's Wooden Shoe Good To Know as I was in a brown mood that night! Then I went on to add some handpainted daisies using acrylic paint. I had actually opted for a light blue centre however I left that the contrast wasn't as to my liking so I opted for a glitter placement using the Girly Bits polish that I had on my accent nail! 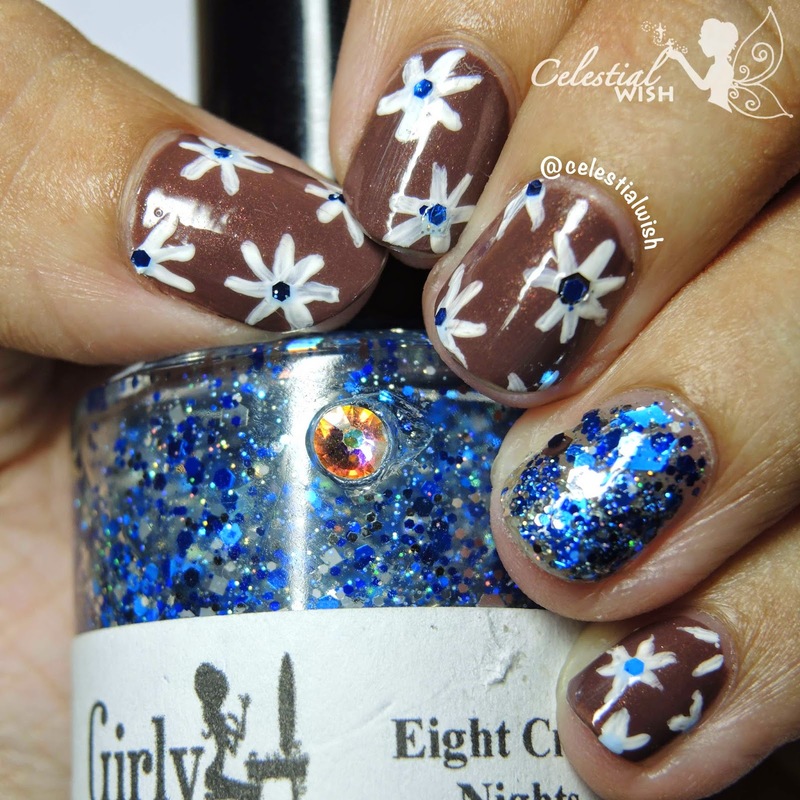 The Girly Bits polish is Eight Crazy Nights! This was given to me from Nicole! It is absolutely gorgeous especially since I have such a love for anything polish that is blue! 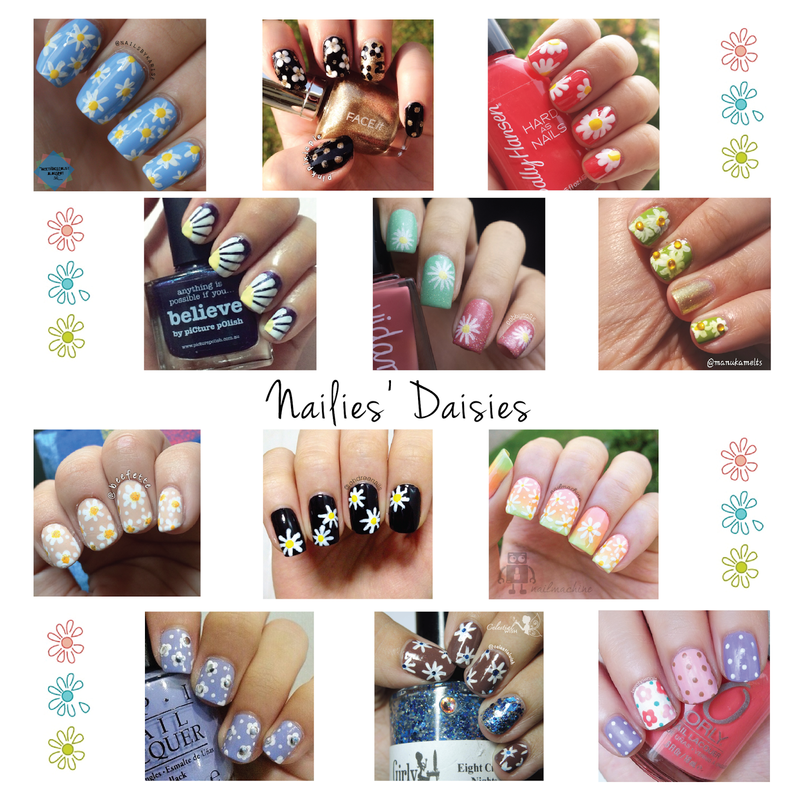 Going to try and do more nail art design and slowly brush up my skills! Especially since I am working now, I have my nights to spend some time on pampering myself!